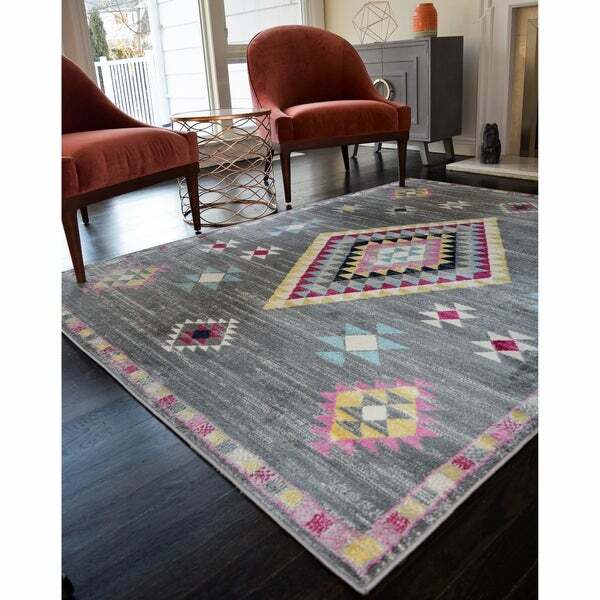 "The Ulyana area rug will give a space exuberant personality without dominating the room's décor. It takes classic attributes found in a rug's design, like a border motif and a center medallion, and reworks them with a vintage style and wonderfully lively hues. The result is a youthful appeal that will not go unnoticed. Power loomed, the polypropylene Ulyana is great in a den or bedroom. "